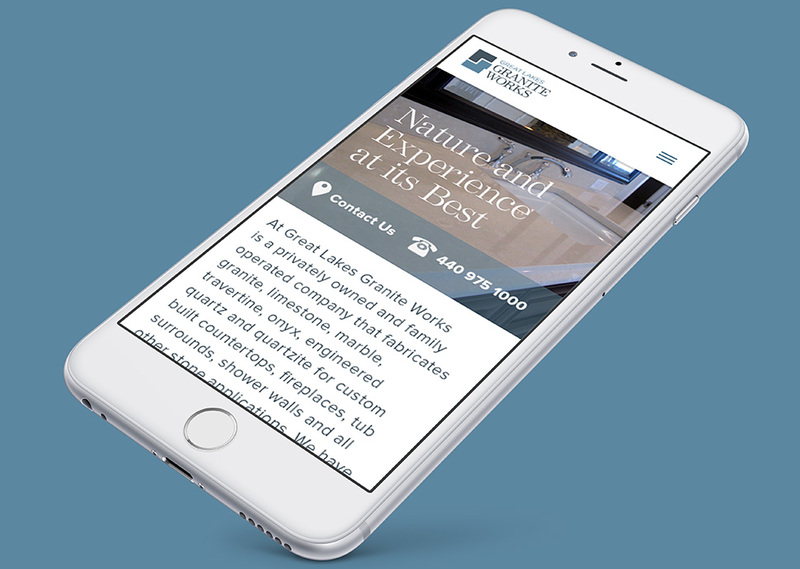 Great Lakes Granite Works is a privately owned and family operated company serving the northeast Ohio region and adjacent areas. 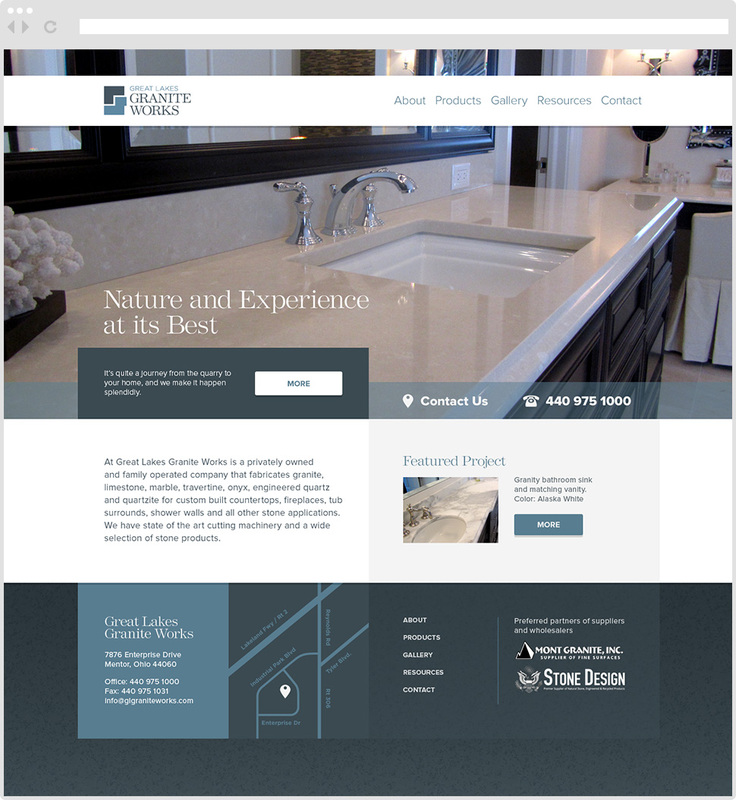 They design and craft custom counter tops, fireplaces, tub surrounds, shower walls and all other stone applications. Their expert stone craftsmen work with natural stone, and use the latest technology to achieve the most precise cuts and beautiful finishes possible. Under new ownership, GLGW came to DCD to establish a new logo and brand identity, and enhance their web presence to show a vast portfolio of completed work. 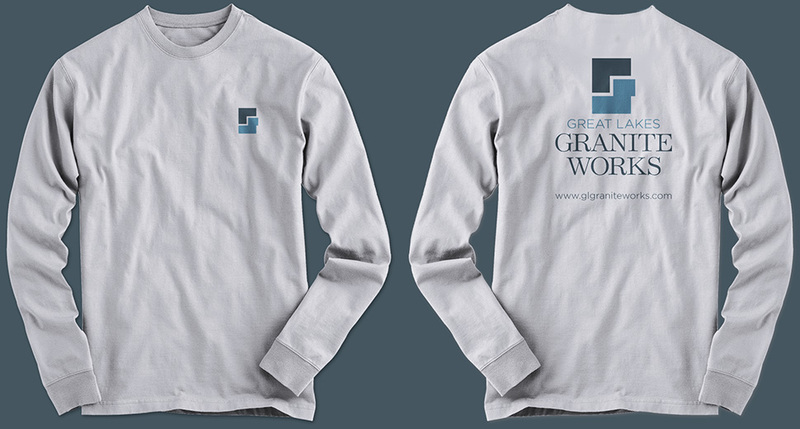 The logo mark is based on the precise fitting and designs of custom counter tops – while forming the letter “G” for Great Lakes and /or Granite. 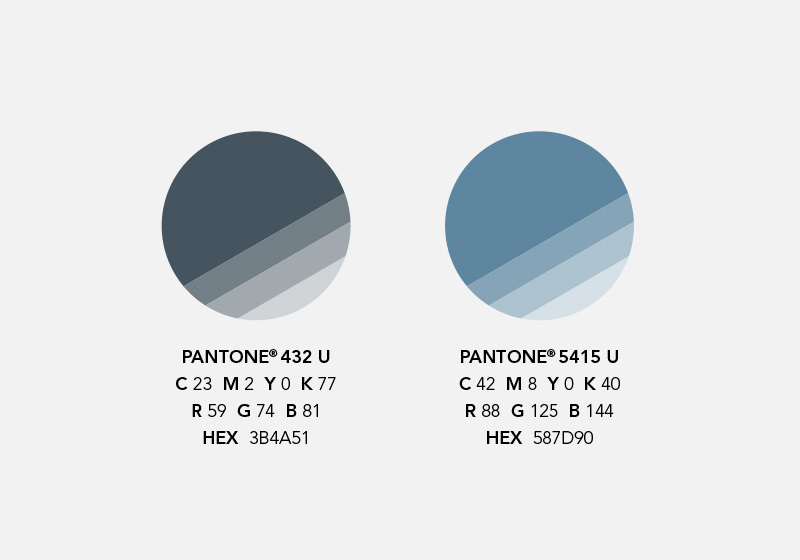 The colors complement some of most popular stone surfaces selected by their clients. 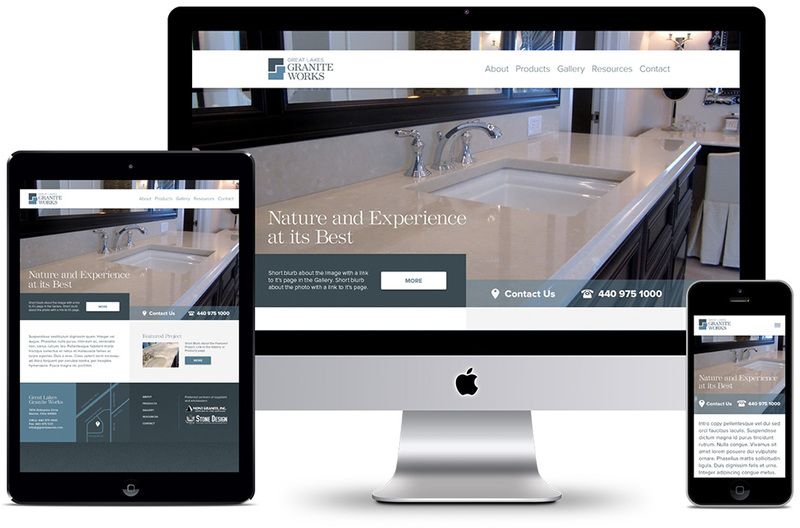 The responsive website showcases their latest work and provides valuable information on stone surfaces and maintenance. The Contact page allows users to upload ideas, plans, or sketches – giving GLGW the necessary information to provide an accurate and fast quote. 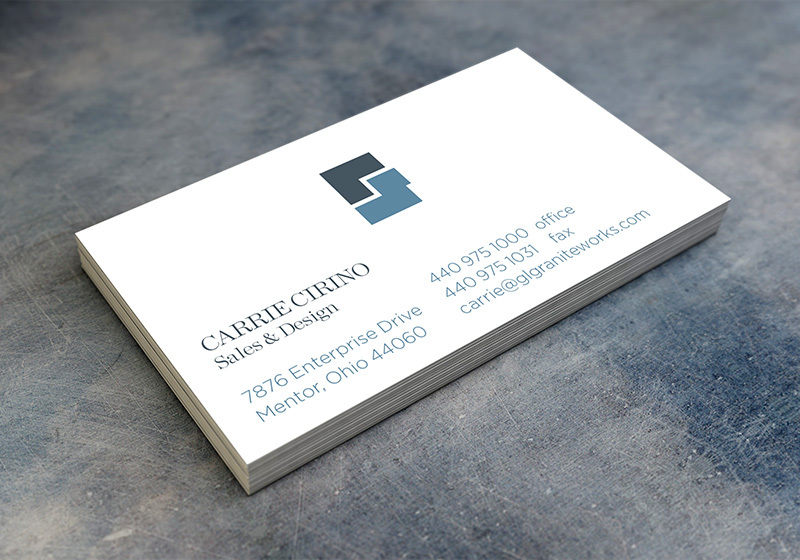 When the site responds to a mobile device, the contact info and phone number is right at the users fingertips. Branded shirts, polos, and Carhartts give the sales staff and installers a polished and professional appearance.